J.A. 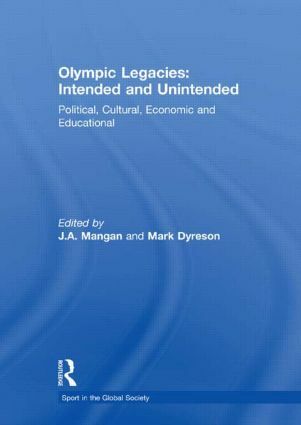 Mangan is a Fellow of the Royal Historical Society, Emeritus Professor, University of Strathclyde, Founding and Executive Academic Editor of The International Journal of the History of Sport and Founding Editor of the journals Sport in Society and Soccer and Society and the series Sport in the Global Society. His latest monograph, Soccer's Missing Men: Schoolteachers and the Spread of Association Football (with Colm Hickey) will be published by Routledge in 2009. A collection, Beijing 2008: Preparing for Glory - Chinese Challenge in the 'Chinese Century' (edited with Dong Jinxia) was published by Routledge in 2008. Mark Dyreson is an associate professor of kinesiology and an affiliate professor of history at Pennsylvania State University and a former president of the North American Society for the History of Sport. With Routledge, he has published Crafting Patriotism for Global Dominance: America at the Olympics (2008) as well as editing, with J.A. Mangan, Sport and American Society: Insularity, Exceptionalism and 'Imperialism' (2007).